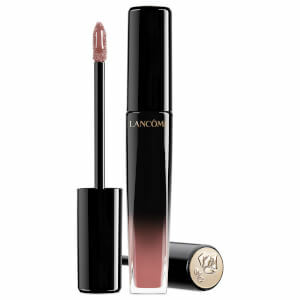 Accentuate your pout with Lancôme L'Absolu Gloss Cream; an ultra-hydrating formula that combines the nourishing properties of a balm with the finish of a lip gloss. Featuring a cushioned wand applicator, the high-pigmented gloss glides on effortlessly to saturate lips in creamy, moisturising colour with subtle, non-sticky shine. Lips feel smooth, sumptuous and comfortable.